– “Ahead of the Curve” by David Michael, Neeraj Aggarwal, Derek Kennedy, John Wenstrup, Michael Rubmann, Ruba Borno, Julia Chen, Julio Bezerra at The Boston Consulting Group. Derek Kennedy, Partner at Boston Consulting Group, discussed research findings showing a “strong correlation between the adoption of advanced information technologies on the one hand and growth in revenue and jobs on the other” in a report commissioned by Microsoft. This study surveyed 4,000+ SME (Small and Medium Size Enterprises) in the U.S., Germany, China, India and Brazil. Note that SMEs account for more than 50% of China’s and Germany’s GPD and job creation, 40%+ in the U.S.’ and Brazil’s cases, and 20%+ in India’s. These companies’ revenue experienced 17% 2010-12 CAGR (Compound Annual Growth Rate) in the U.S. and Germany and 28% in China, India and Brazil. This is not just about double digit growth rates on average, but also about increasing revenues 15 percentage points above the other companies and creating about twice as many jobs in the process. Back in February I was in Barcelona’s Mobile World Congress with Dan Johnson. We discussed and conducted live demonstrations on our innovative Cloud Communications Platform for service providers. Some questions had to do with the underlying economics, opportunity costs, trade-offs, behaviors and cultures. 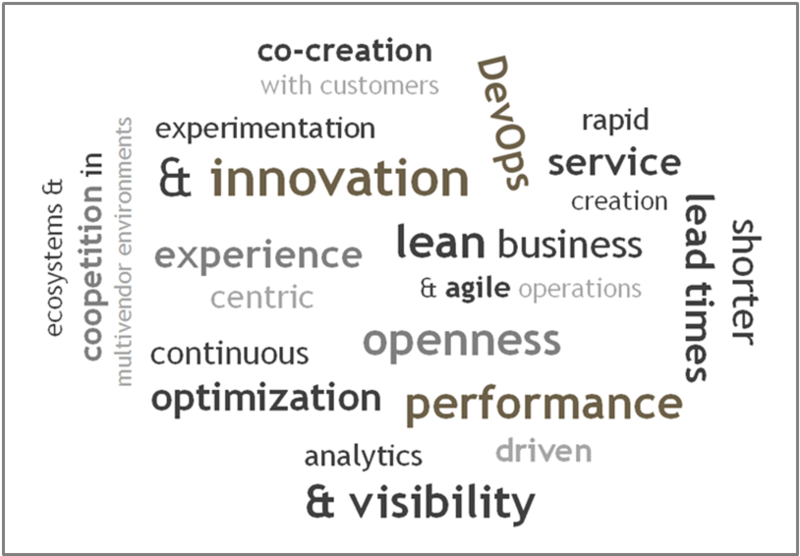 Cloud economics happens to be about business model innovation, entrepreneurship and lean operations. BCG’s research helps make the point about crossing the chasm as leaders are clearly outperforming with cloud already. But some remain concerned about any operational efficiencies being offset by hidden costs, lower performance, loss of control, security or, simply, missing key features. User friendly self-service coupled modular a la carte packages, pay as you grow plans and customer care. Custom data visualization for reporting, analytics and account data such as billing. VPNs (Virtual Private Networks) with multi layered security and management policies to access cloud services, instead of just having employees use any browser over the public Internet. Secure and high performance in-network clouds, also known as carrier clouds. VPCs (Virtual Private Clouds) providing enterprise grade security while isolating a company’s resources, so that infrastructure is not shared with other cloud customers. Disaster recovery and business continuity with backups and built-in geographic redundancy. Regarding cloud communications, IMS (IP Multimedia Subsystem) supporte Real Time Communications (voice, video, data) and is engineered to meet “5 nines” reliability, this means high availability with just 5.26 minutes of downtime in an entire year. This is 25.9 seconds a month to make it more tangible. Our team has successfully delivered vIMS (virtual IMS) deployment for a leading service provider’s “production environment / live network” for the past two years with “zero” downtime. IMS is integral to new mobile services such as VoLTE (Voice over LTE) which entails simultaneous voice and data services (integrated multimedia communications) for mobile users. Technology is a game changer, but cannot solely account for what’s going on. This new paradigm shift also involves a different mindset. Companies embracing what cloud has to offer are also setting the stage for new business models and organizational behaviors. This is an expanding virtuous spiral (rather than just a flat virtuous circle) where behaviors, business models and technologies interact and fuel one another’s growth and innovation.